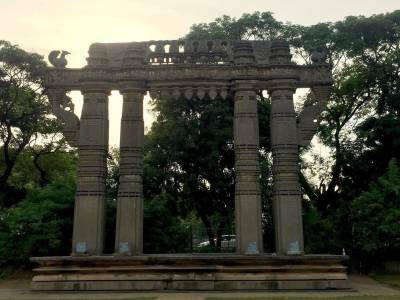 The Kakatiya Kala Thoranam is a set of ornamental stone arches that were one's part of the grand Warangal Fort built in the first few centuries of the second millennium of the Common Era. The stone arch gates are very well built and were originally part of a great Shiva temple built in this region during the Kakatiya reign. 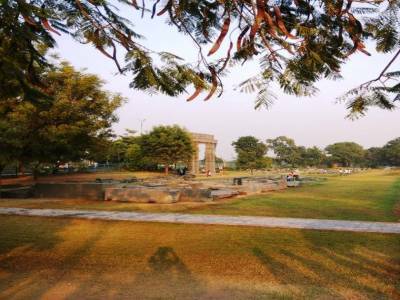 This is the reason why the structures are called Kakatiya Kala Thoranam or more famously known as the mighty Warangal Gate. Legend has it that this region was the home of the most pragmatic Hindu dynasty of the southern India, the Kakatiya Dynasty. 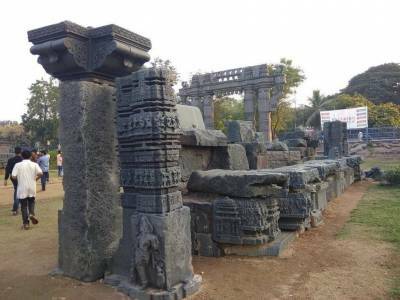 According to the history the Kakatiya Kala Thoranam was first built as gates of the Shiva temple built by Ganapati Deva of the Katatiya clan. 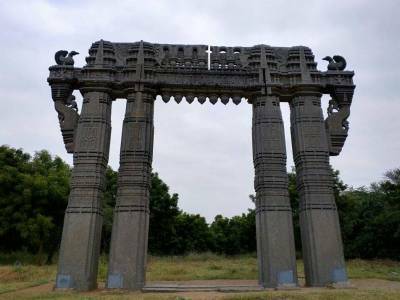 Later to fortify the Warangal fort Rudrama Devi and Pratap Rudra the second, reinforced these gates to their present status. After the Muslin invasion in the 14th century CE, most of the structures were devastated save the gates and thus is their importance. The Kakatiya Kala Thoranam constitutes of very sturdily built four stout pillars with an art infused elegant head top. The inscriptions in the gates chant the glories of the land. 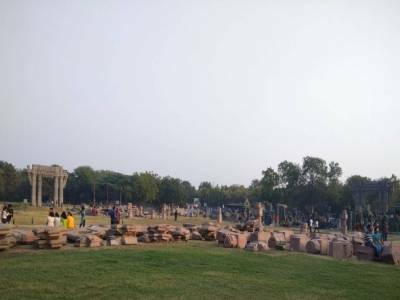 The Kakatiya Kala Thoranam or the stone arch Warangal Gate are very famous for tourist visitations and are a easy reach being the sight of Telangana Sate Emblem. The Kakatiya Kala Thoranam is also enlisted in the tentative list of the World Heritage Sites bestowed by the UNESCO. Warangal Gate is really an amazing structure. it part of old shiva temple. We spent few hours sitting over there and watching those stone structures . Get quick answers from travelers who visit to Kakatiya Kala Thoranam.